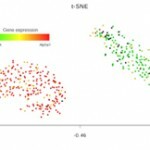 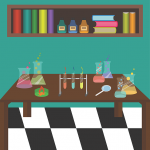 Calling all entrepreneurial researchers, scientists and engineers! 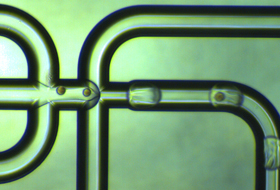 Dolomite and Lab on a Chip are seeking novel, microfluidics-based concepts with commercial potential for the Productizing Science® Competition 2015. 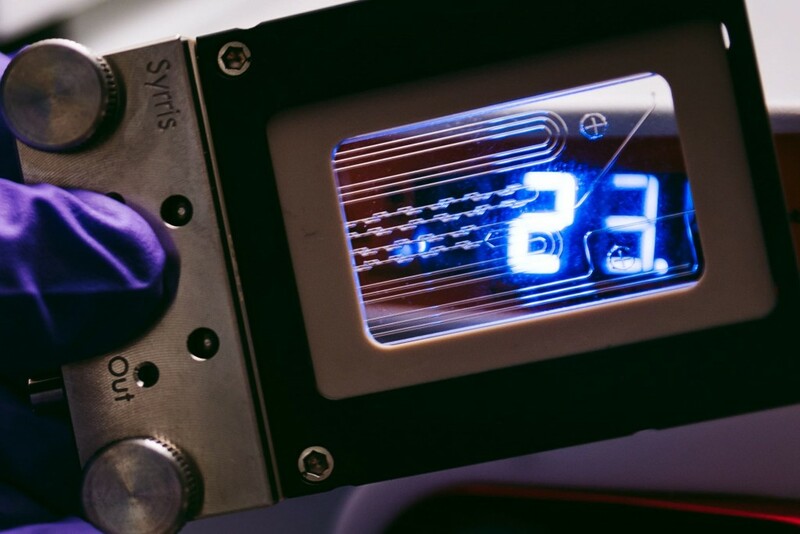 To make sure you don’t miss the chance to drive your microfluidics innovation forwards, simply submit your entry before the April 30th deadline. 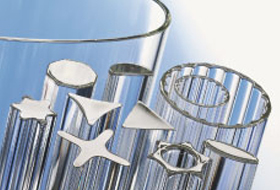 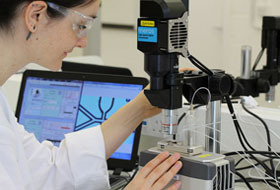 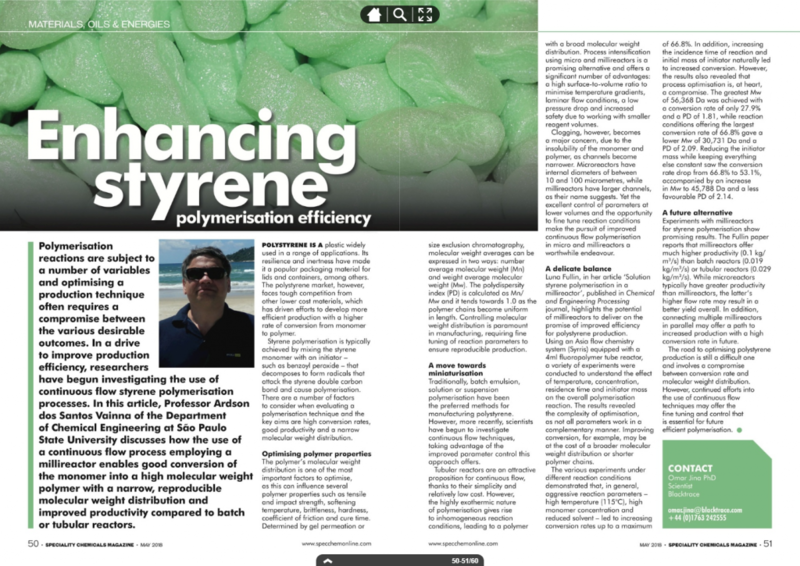 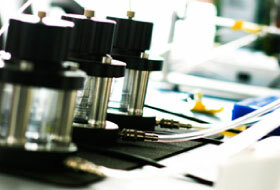 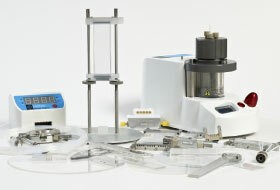 Biotechnology service provider Bioneer A/S, based in Hørsholm, Denmark, is taking advantage of the exceptional microfluidics capabilities of Dolomite’s Micro Droplet System to reliably encapsulate cells in gelatin hydrogels, enabling 3D cell culture growth in a straightforward, easy-to-handle format. 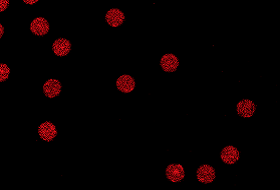 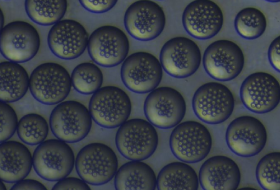 Dolomite’s droplet generation system is helping AbVitro to identify potential therapeutic targets using its AbPair™ technology. 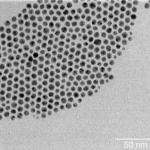 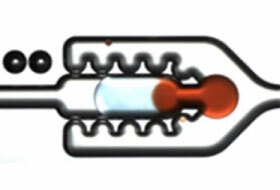 The inaugural MicroTAS Video Competition, run by microfluidics specialist Dolomite and Lab on a Chip, and supported by the Chemical and Biological Microsystems Society, saw first prize awarded to an enterprising – and highly creative – entry submitted by Tijmen Hageman from the Korean Institute of Science and Technology (KIST) Europe GmbH in collaboration with the University of Twente. 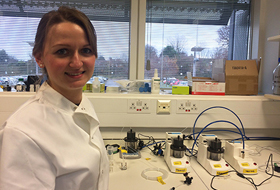 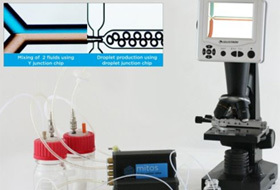 Dolomite – the pioneering microfluidics specialist – has launched the groundbreaking Mitos Dropix® Droplet Splitting System, for the automated creation of nanoliter and picoliter droplets. 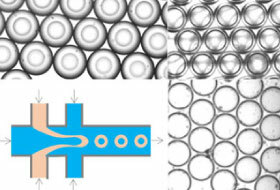 Designed for easy generation of miniaturized droplet compartments, this innovative system enables reproducible generation of nanoliter droplets, and incorporates a flow-focusing Droplet Junction Chip for subsequent splitting into picoliter droplets of varying volumes. 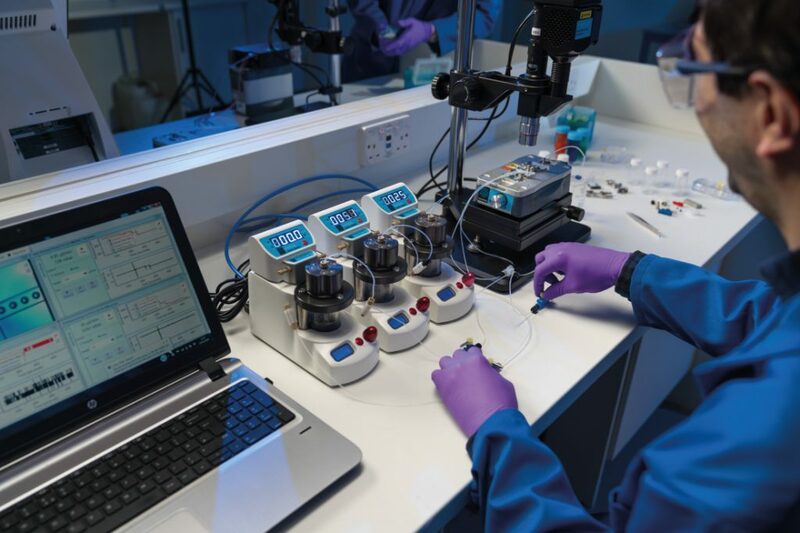 Dolomite – the pioneering microfluidics specialist – has launched a Pressure-driven Resealable Chip Interface System designed for applications which require quick and easy access to the microfluidic chip surface. 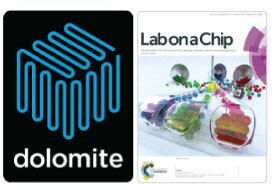 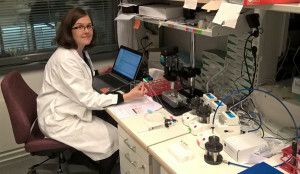 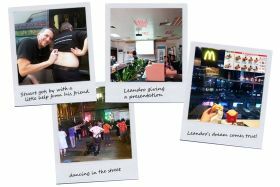 Dolomite, a pioneering microfluidics specialist, and Lab on a Chip are challenging entrepreneurial researchers, scientists and engineers to enter the Productizing Science Competition 2015. 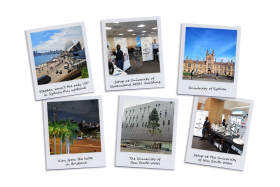 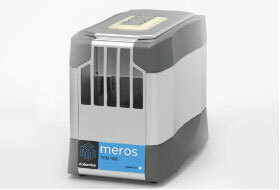 Microfluidics specialist Dolomite will be launching the Meros TCU-100 at this year’s Lab-on-a-Chip & Microarray World Congress in San Diego, USA, from the 18th to the 19th September. 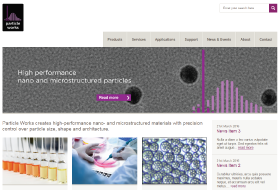 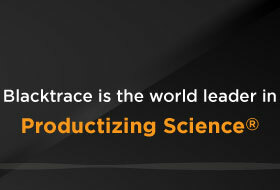 Blacktrace Holdings Limited, a leading group of companies focused on Productizing Science®, today announced that it has entered into a license agreement with PerkinElmer to license certain microfluidic technology owned by its subsidiary, Caliper Life Sciences, Inc., for a wide range of applications. 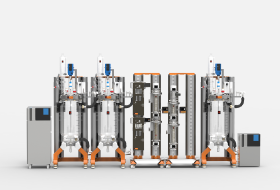 Microfluidic products expert Dolomite have signed an agreement with Fluika to exclusively distribute a range of low-pressure and low-vacuum generator pumps. 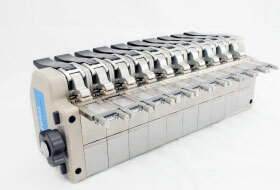 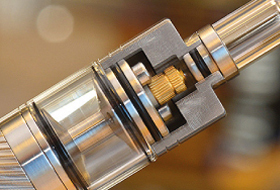 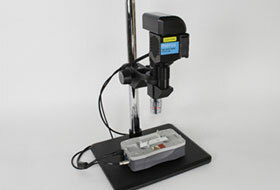 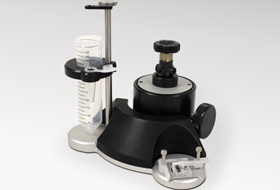 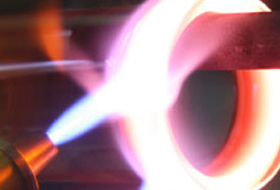 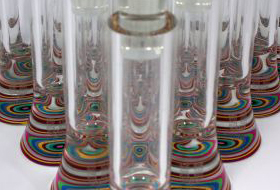 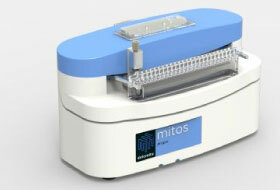 Dolomite have released the Mitos Dropix® Droplet Merging System. 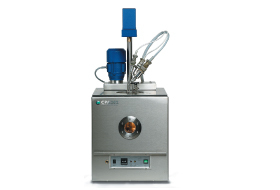 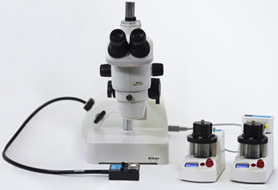 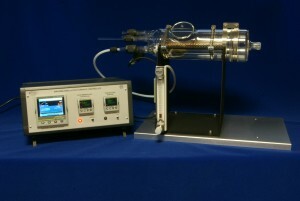 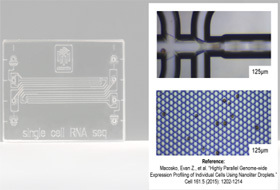 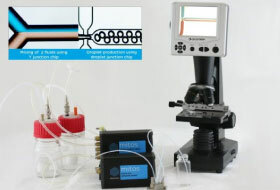 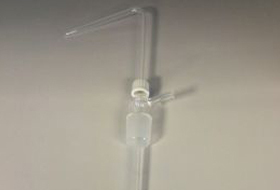 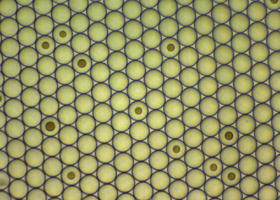 It meets the needs of microfluidic applications that benefit from an advanced capability; the ability to combine pairs of droplets in a controlled manner. 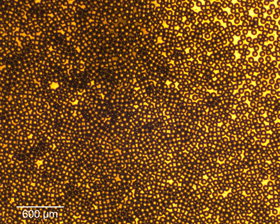 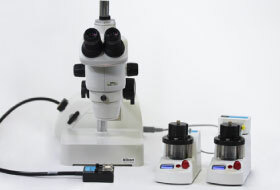 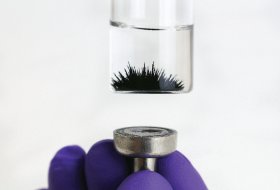 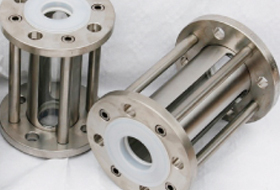 Microfluidic products expert Dolomite have released their Double Emulsion System for creating micron sized emulsion droplets that contain still smaller droplets inside. 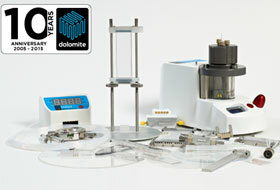 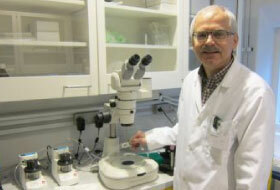 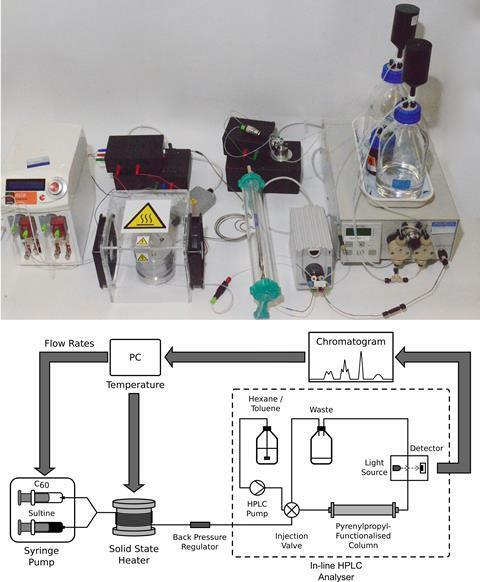 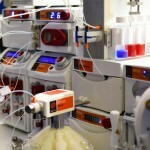 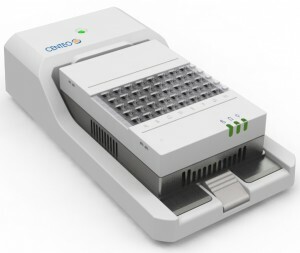 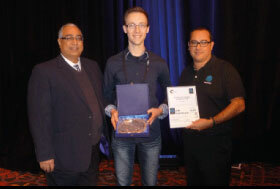 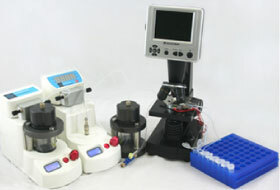 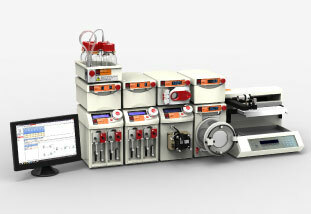 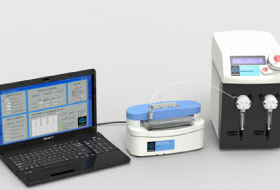 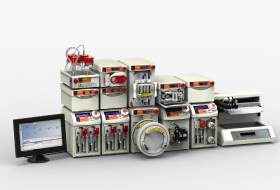 Fully automated DNA lab-on-a-chip microfluidic system wins Dolomite’s Productizing Science® competition 2013. 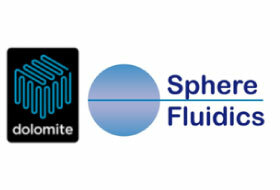 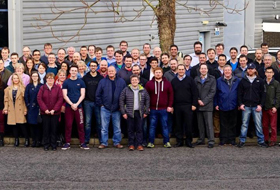 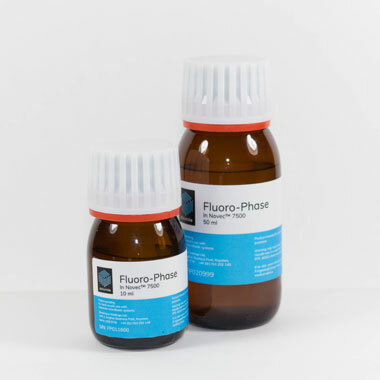 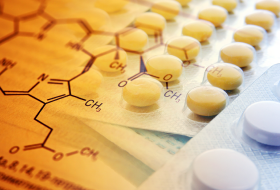 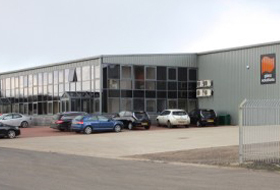 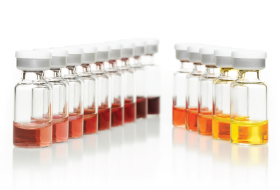 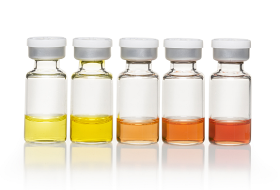 Sphere Fluidics and The Dolomite Centre Ltd. have now signed an exclusive distributor agreement for Sphere Fluidics' trademarked range of unique biochips, surfactants and other specialist chemicals for picodroplet applications. 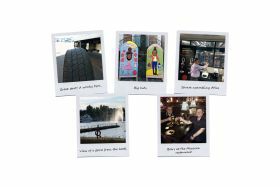 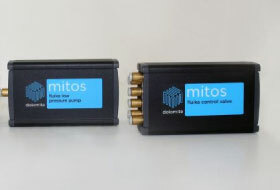 These will be promoted and sold via Dolomite’s worldwide sales channels. 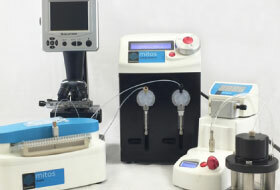 Microfluidic products expert Dolomite has launched Mitos Dropix, an ingenious droplet-on-demand system capable of easily generating extremely miniaturised droplet compartments with exceptional control over volume, environment and isolation of contents. 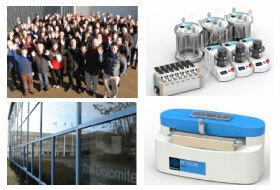 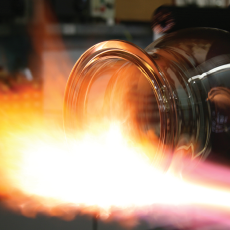 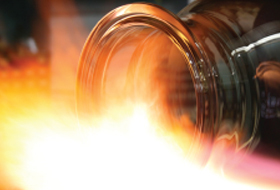 Dolomite is looking forward to another great year in 2014 having reported a year-on-year increase on standard product sales, as well as an increase on sales of its Productizing Science® partnerships. 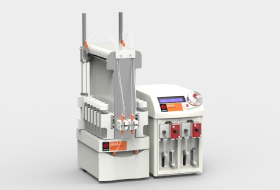 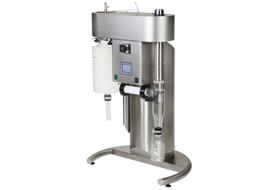 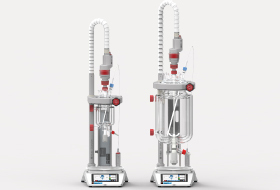 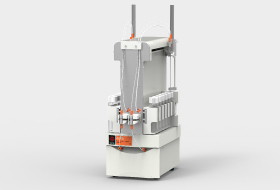 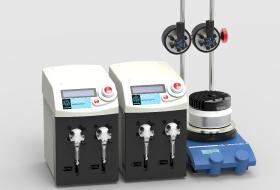 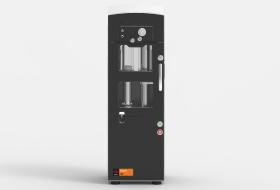 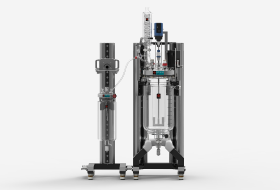 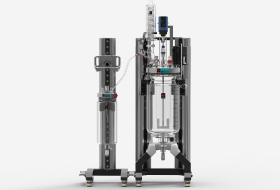 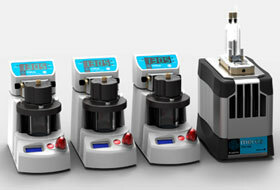 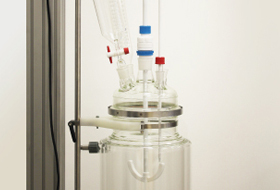 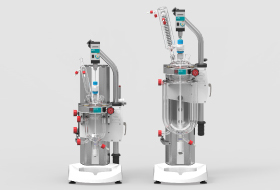 Dolomite has launched Telos, an innovative system for high throughput droplet, particle and flow product generation.